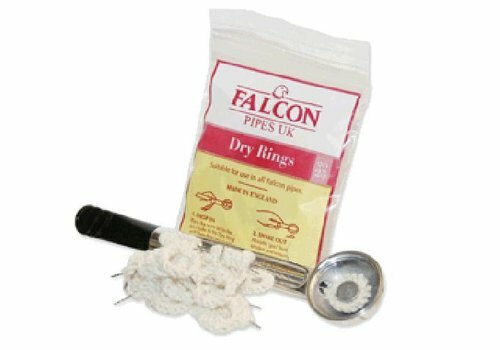 Bag of 200 Big Ben Filters, 9 mm. Add 10 to 15 keystones into the the spiral chamber, mount the pipe bowl and fill it with tobacco. 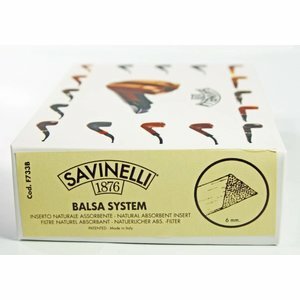 Savinelli Balsa Filter 9 mm. 50 pcs. Savinelli 9 mm. Filter made of balsa wood. Bag with 50 filters. 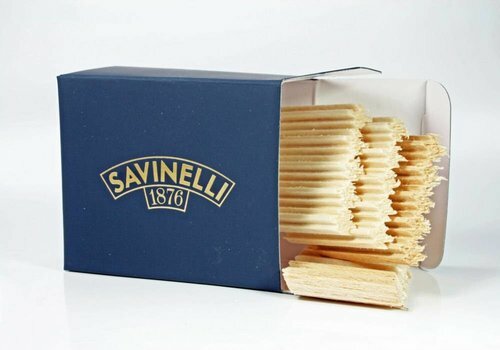 Box of 150. These filter consist of the best filterpaper, ceramic-capes on both ends and it is filled with high effective Activ-charcoal. The filter absorbes effectively most tar and nicotine and gives cool and dry smoking-enjoyment. 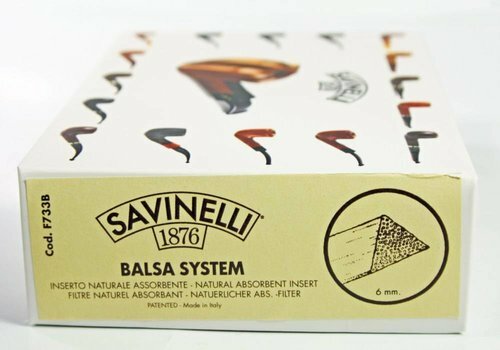 Savinelli Balsa Filter 6 mm. 300 pcs. Savinelli 6 mm. Filter made of balsa wood. Box with 300 filters. Box of 40. 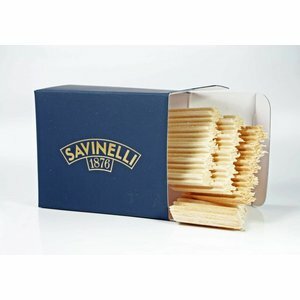 These filter consist of the best filterpaper, ceramic-capes on both ends and it is filled with high effective Activ-charcoal. The filter absorbes effectively most tar and nicotine and gives cool and dry smoking-enjoyment. White Elephant Active Meerschaum Filter 9 mm. Box of 40. 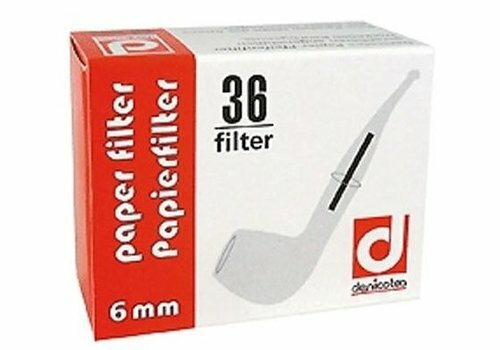 These filter consist of the best filterpaper, ceramic-capes on both ends and it is filled withNatur-Meerschaum. 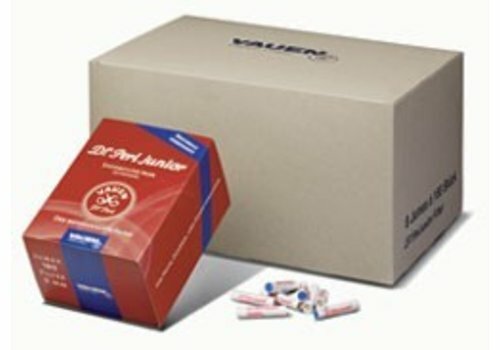 The filter absorbes effectively most tar and nicotine and gives cool and dry smoking-enjoyment. 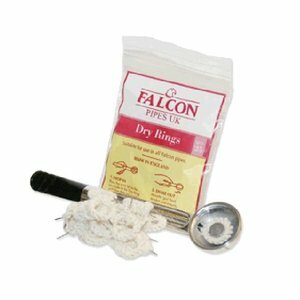 Bag with 25 dry rings, suitable for use in all Falcon pipes. 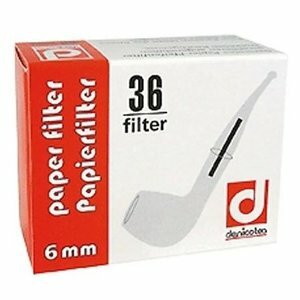 Denicotea Pipe Filter 6 mm. 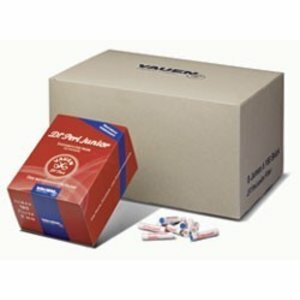 Box with 36 activated charcoal filters of 6 mm.